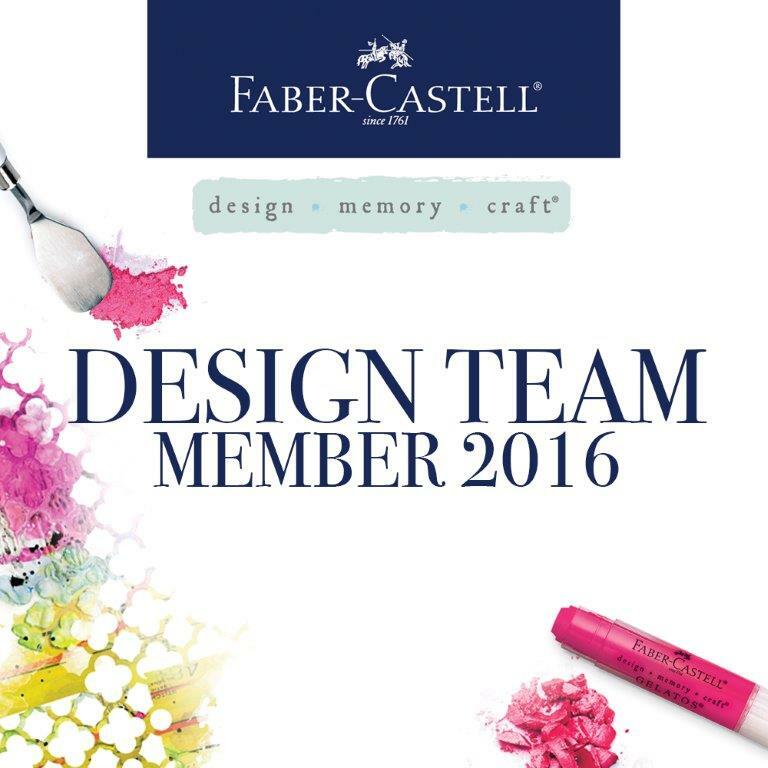 Our AMAZING sponsor and prize this month is from The Frantic Stamper. 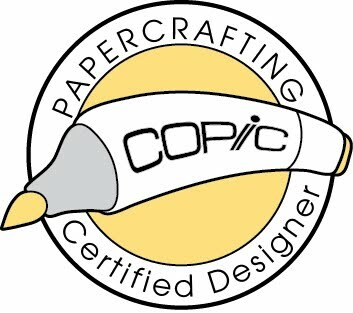 Fran has a HUGE supply of items to pick from, including being one of the only places in the United States where you can order Paper Artsy products! The Frantic Stamper will be giving a $25 gift card to our lucky winner. The paint is so yummy! I got a mixed of very matte/opaque finishes which are almost chalk-like paints, and some shimmery bright paints. I really enjoyed working with them. A lot... and aren't those colors scrumptious?! I love this little canvas WAY more than I thought I would! Don't you love all those buttons? 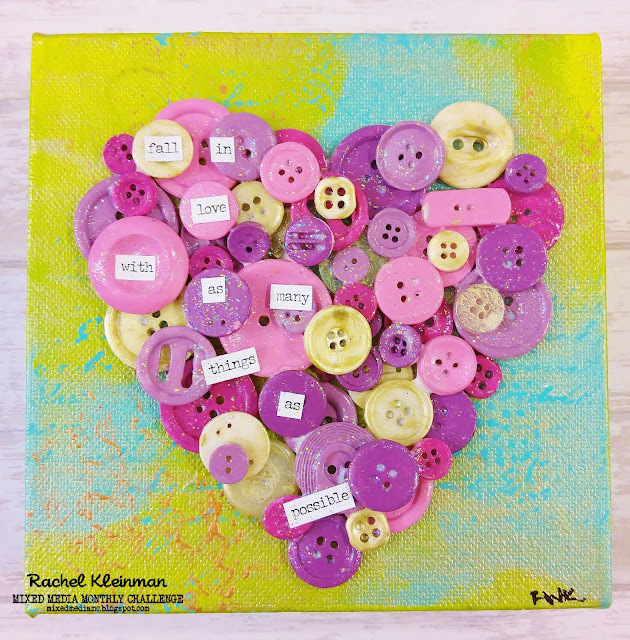 Every single button was painted with one of my Paper Artsy paints! 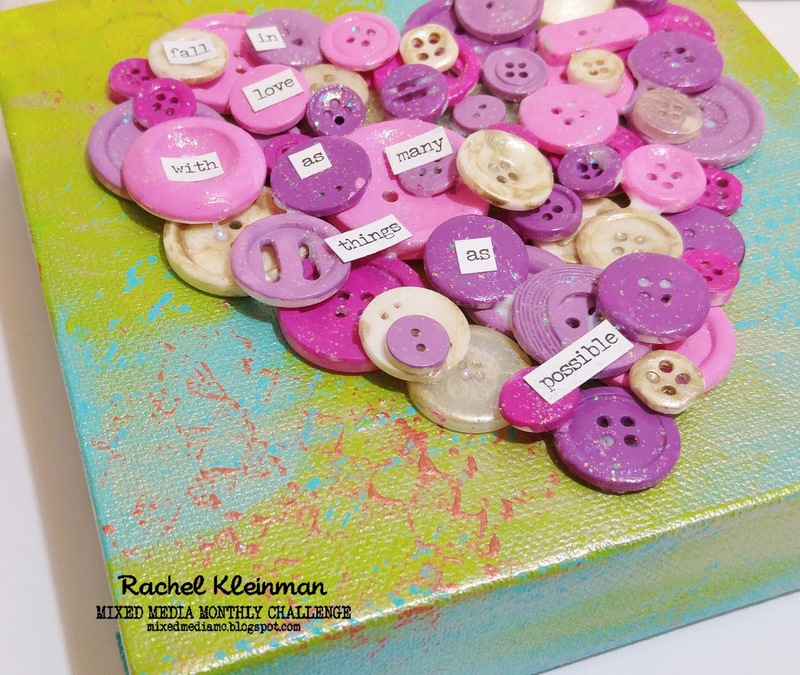 The buttons started as plain white, and I covered them with my pinks and purples. Love how they painted so cleanly and solid. 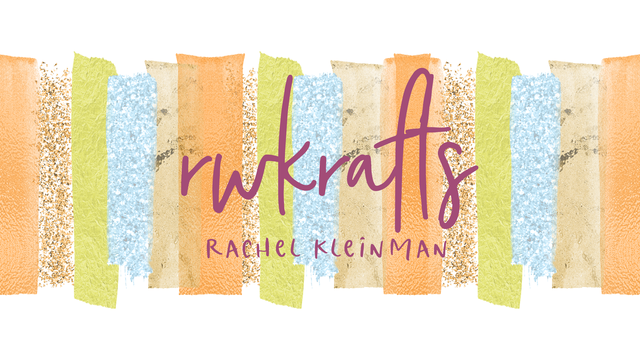 The background of my canvas is painted with the blues and greens, then stamped with the Copper paint with Unity Stamps. Once all the buttons were arranged and the glue was dried, I covered them all with Sparkle Mod Podge. 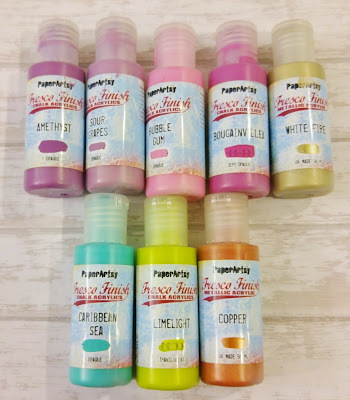 You can never go wrong with Sparkle Mod Podge! 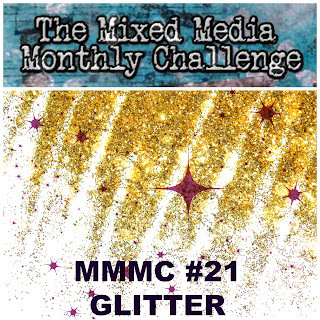 Make sure you check out the Mixed Media Monthly Challenge and enter your GLITTER project into our gallery. You have the chance to win a gift card to The Frantic Stamper! Good Luck! Lovely colors! I like your idea to use all these buttons. This is wonderful - what a great idea for buttons!!! Love this! So pretty Rachel! Love the shimmery button heart collage! The glitter shows up so well on the buttons - so pretty! This card is so texture rich! I love all the buttons and the words on top of the buttons. What a FUN card!! 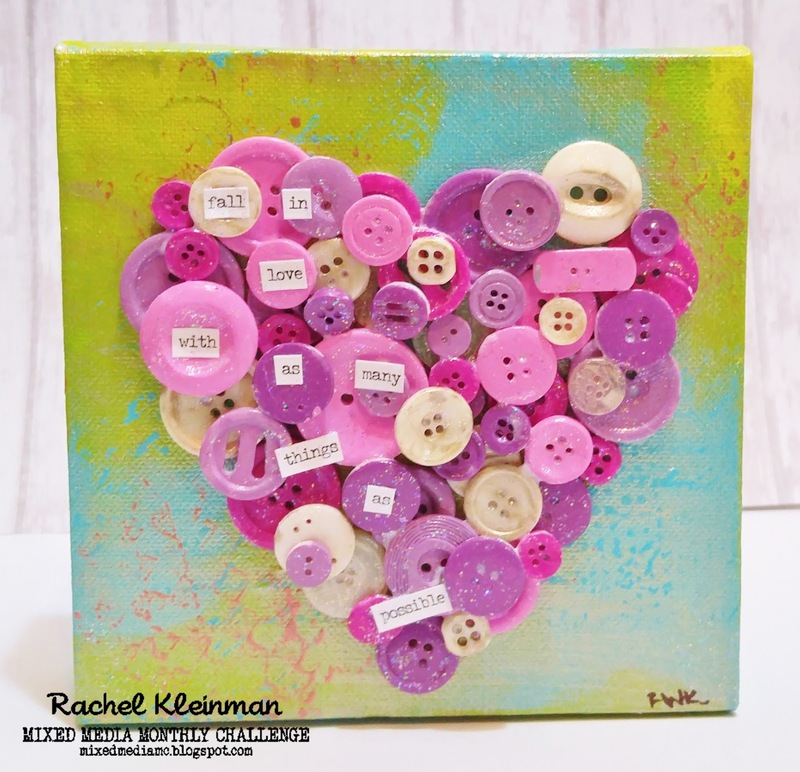 Oh, I love your brilliant button canvas! and I can't believe you painted all those buttons! The sparkle Mod Podge is new to me...but it looks great here! Beautiful!!! Love those painted buttons! THis is so much fun! THink I might have enough buttons to do this! Great use of buttons here! Great idea and wonderful work. Your heart has really charme! A very original and colorful ... Thank you for your inspiration !! What fabulous attention to detail. Loving the gorgeous and vibrant colours. Great sentiment and those painted buttons..genius! 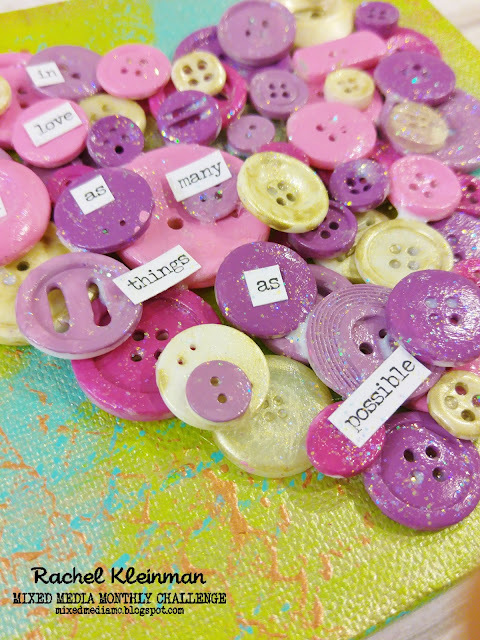 Gorgeous canvas, love the glittery buttons and funky colours!